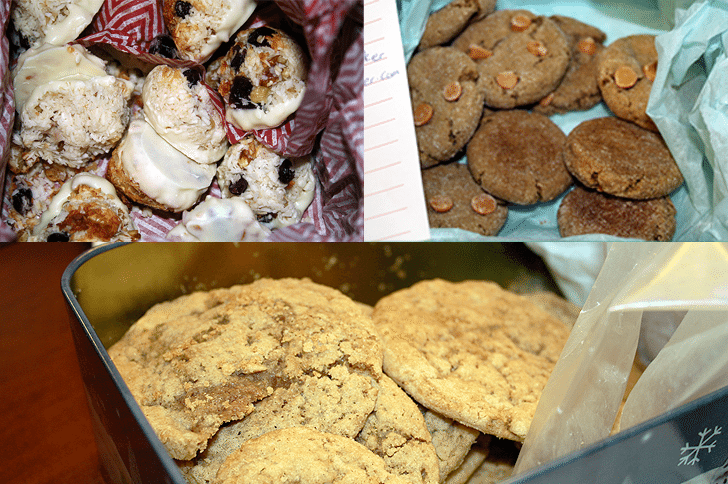 Its time to unveil the cookies that I shared with my matches for the 3rd Annual The Great Food Blogger Cookie Swap! If you haven’t heard of The Great Food Blogger Cookie Swap yet and you have a blog, I highly suggest you look into it for next year. It is hosted by Love & Olive Oil and The Little Kitchen. These ladies are seriously amazing for organizing this swap! 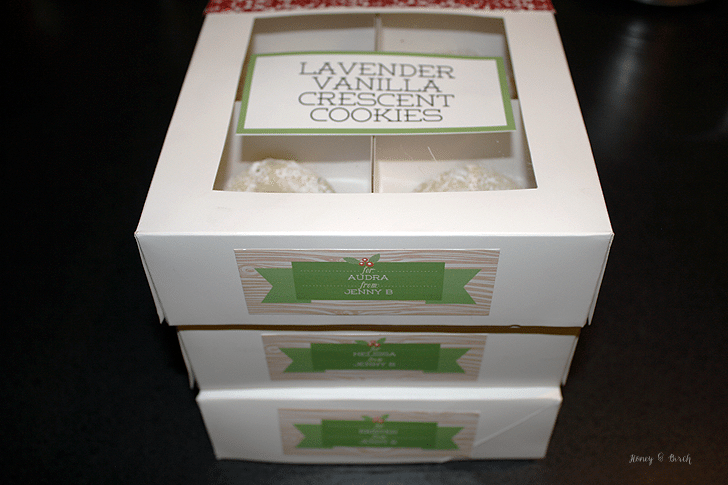 I got to send some cookies to three amazing bloggers. I have to admit, when I got the email with my matches I got excited and then I was very intimidated. I was expecting to receive the names of blogs I had never heard of and instead it was quite the opposite. I could either go with an easier recipe that I couldn’t (or “shouldn’t”) screw up and or go a little off my rocker with a crazy cookie recipe. 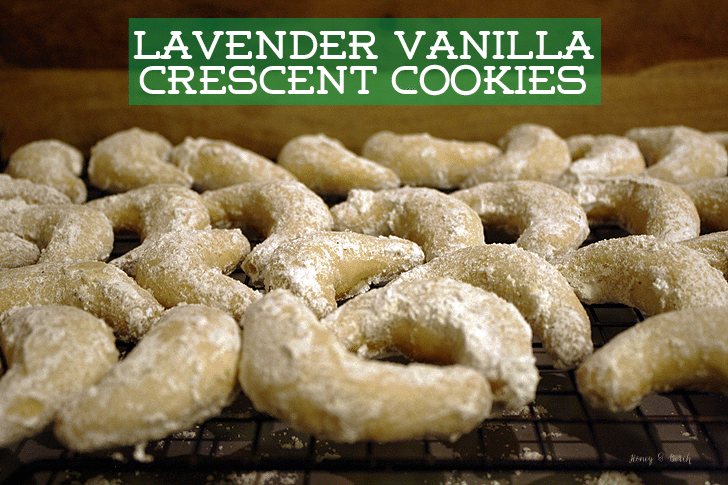 I chose to make Lavender Vanilla Crescent Cookies with an awesome find from the Spice House. 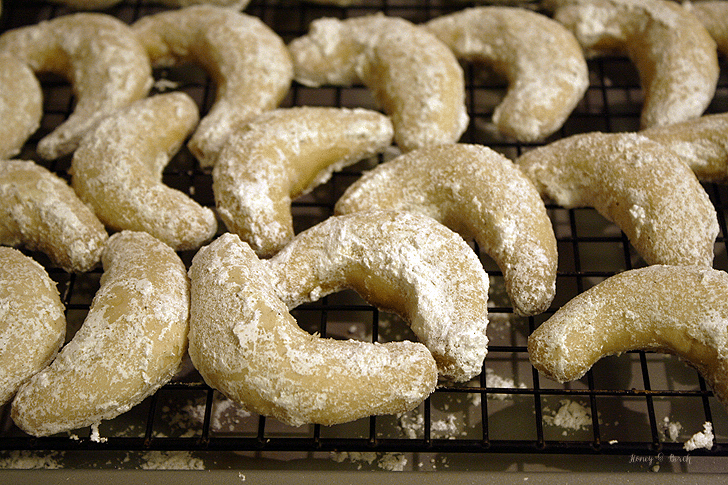 The recipe I am sharing today is my version of the Austrian Vanillekipferl (vanilla crescent cookies) – a holiday confection that was a much loved favorite in my family. My grandma would make them every Christmas and my whole family ate them up each year. The only year we didn’t completely devour them was the year she began to lose her eyesight and mixed up the sugar and salt. 🙂 Its been a few years since she passed away, and I have truly missed this holiday tradition which is why I set out to create my own version of the vanillekipferl. 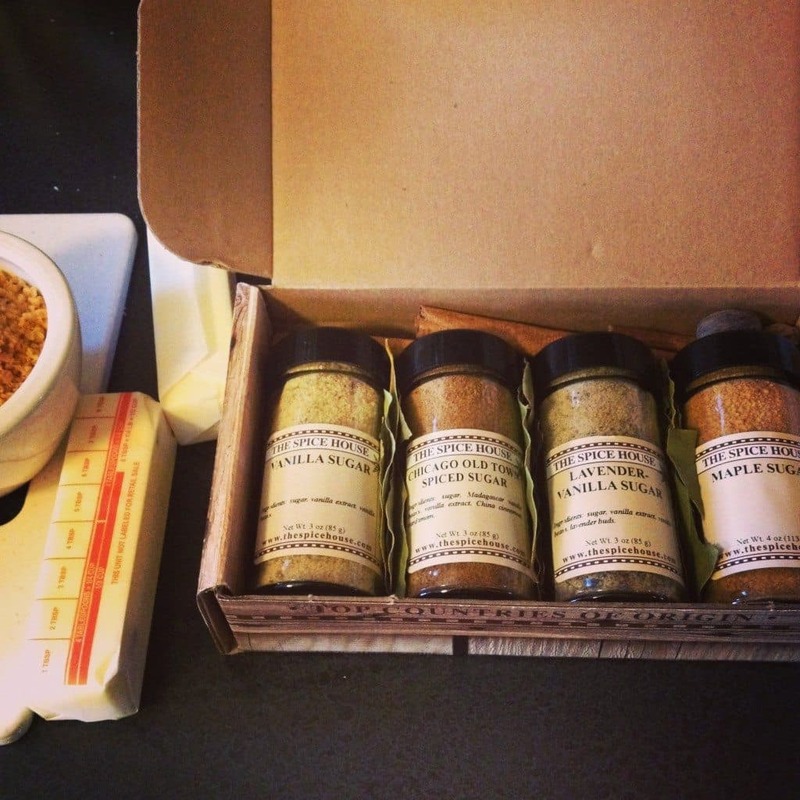 AND, special treats from OXO, Imperial Sugar, and Grandma’s Molasses. It was truly a good month to be a food blogger. 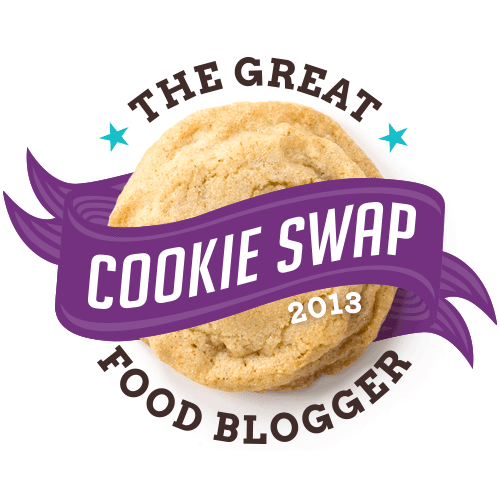 I’m so glad that I took part in the Great Food Blogger Cookie Swap and I can’t wait for next year! 1. Preheat oven to 400 degrees Fahrenheit. Line two cookie sheets with foil or parchment paper. 2. If your butter isn’t at room temperature, microwave it for 5-10 seconds now. Cream the butter, 1/2 cup of powdered sugar, and 3/4 teaspoon of lavender vanilla sugar in a stand mixer on medium speed until well combined. Then mix in the lemon extract and salt. 3. 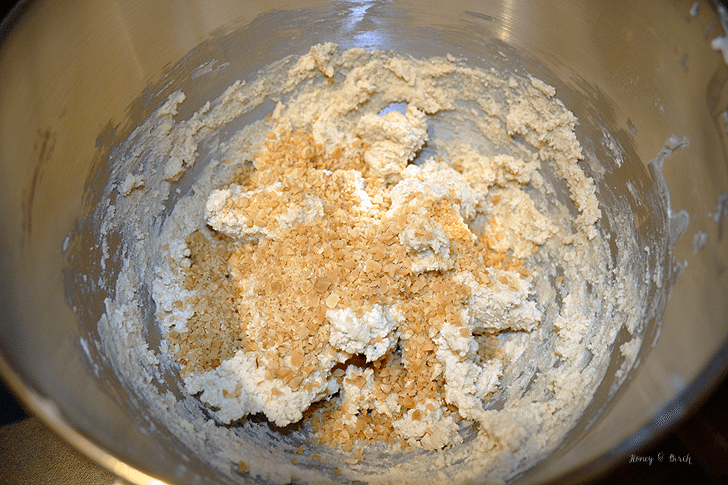 Lower the speed of your mixer to low and gradually add the flour. 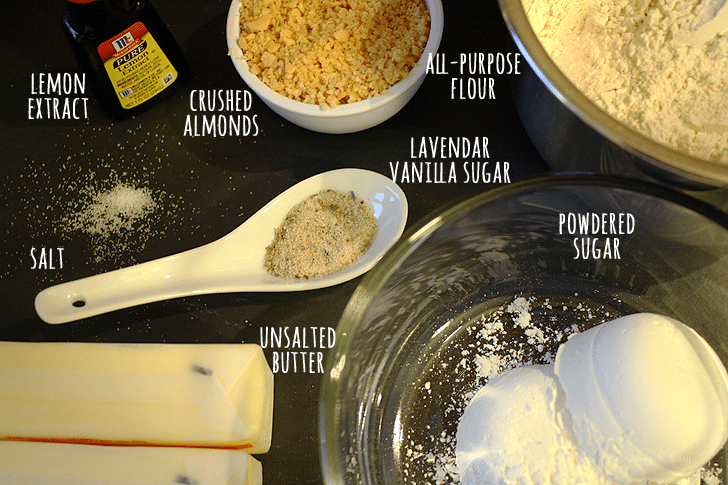 Once all ingredients are combined, turn off the mixer and add the almonds with a wooden spoon. 4. Using your hands, form small balls of the cookie dough into crescents and place on the cookie sheets. 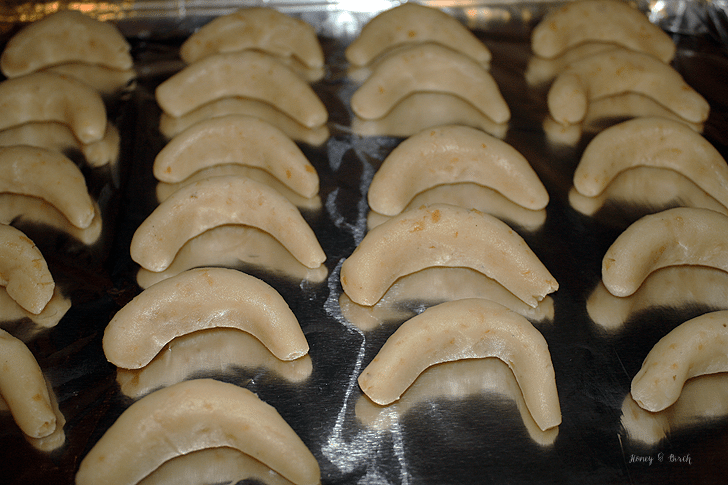 Make sure that the ends of the crescents aren’t too thin – they will burn in the oven. Bake in the oven for 10 minutes and then remove from oven. Allow to cool on the cookie sheets for 10 minutes. 5. 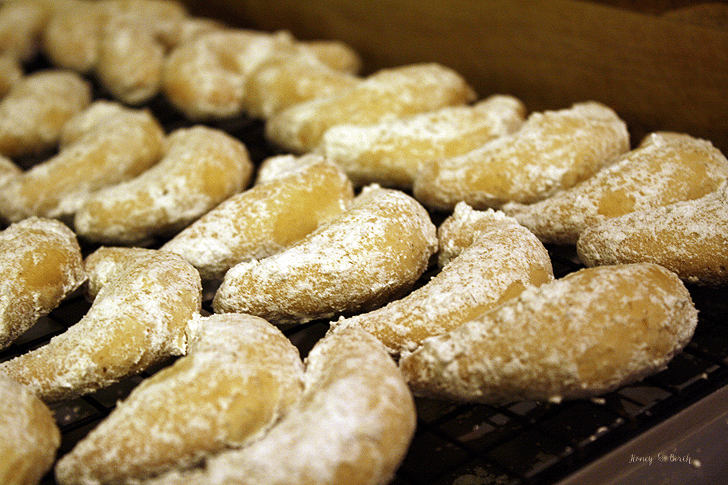 While the crescents are cooling, prepare the sugar topping. 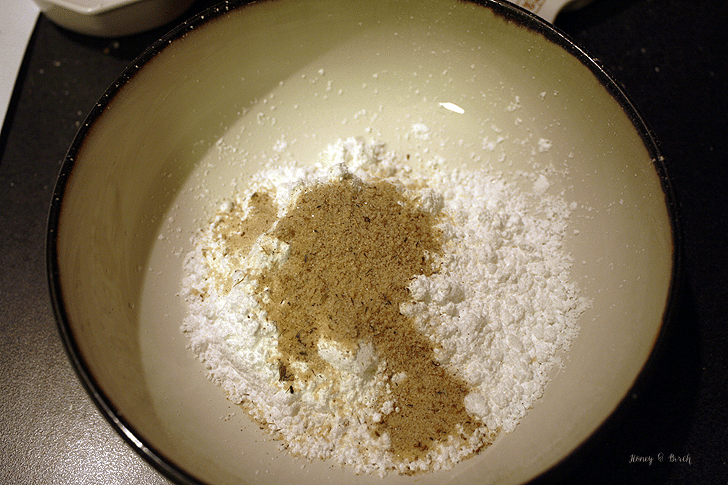 Combine the remaining powdered sugar and lavender vanilla sugar in a small bowl with a spoon. 6. Once the cookies have cooled for 10 minutes, coat each crescent in the sugar mixture and place on a cooling rack to continue cooling. Once cool, enjoy! For the best results, sift your flour before measuring. If you can’t grind your almonds, finely chop them. 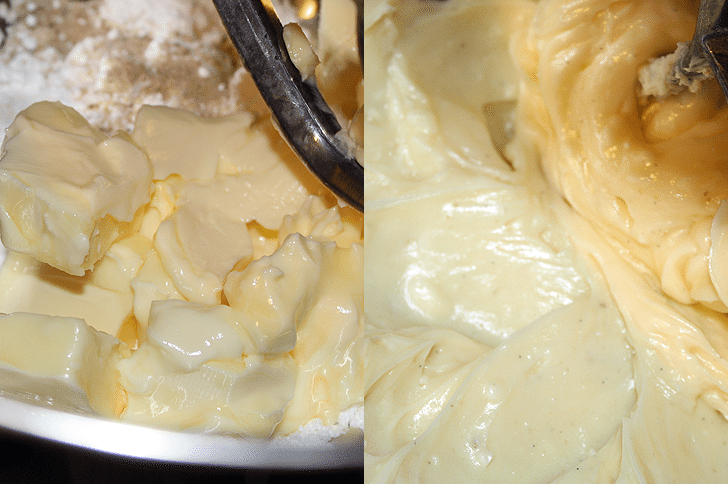 The dough will not combine if the butter is cold. Store in an airtight container for up to 5 days. Awesome pics. It’s very cool to see them in progress =) Thanks again for the cookies & happy holidays! Those look great! The great thing is that is a simple cookie dough recipe and you can make a million different kinds of cookies out of the one dough! Exactly what I was thinking! Thank you for stopping by my blog!